Asus unveiled the Zenfone 5 smartphones at the MWC 2018 in Barcelona, Spain. The Zenfone 5Z is the flagship device with top-notch specifications. While the Zenfone 5 also comes with the same design and similar internals, it is powered by the Snapdragon 636 Mobile Platform. The Asus Zenfone 5Z comes powered the flagship Qualcomm Snapdragon 845 Mobile Platform coupled with Kryo 385 CPU and Adreno 630 GPU. 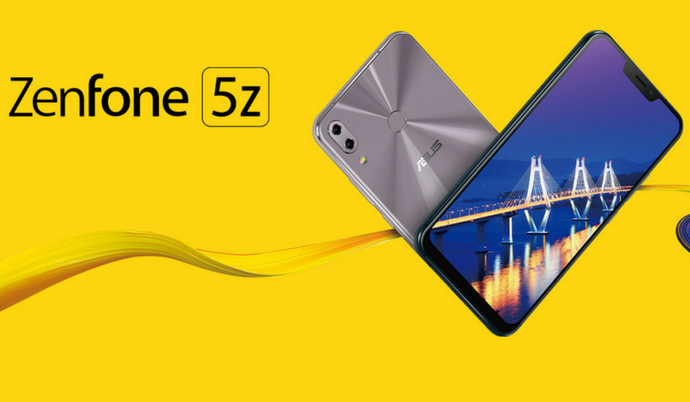 Now, the company has officially launched the Zenfone 5Z (ZS620KL) smartphone in Japan. It is priced at JPY 75,384 (approx $680 / Rs 46,000) and will be on sale starting June 15th. The Japanese variant of the Zenfone 5Z offers 6GB of RAM and 128GB of internal storage. On the front is the 6.2-inch IPS display with Full HD+ (2246 x 1080 pixels) display and 19:9 aspect ratio. Also, there is a notch on the top of the display. As mentioned earlier, the device is powered by the 10nm Snapdragon 845 Mobile Platform clocked at 2.8GHz. It comes with the hybrid SIM slot where the user has to choose between the secondary SIM or the MicroSD card. Talking about the cameras, the Zenfone 5Z sports dual rear cameras with the 12MP primary sensor and an 8MP wide-angle secondary sensor with dual pixel PDAD and EIS. On the front is an 8MP single selfie camera with f/2.0 aperture. The device comes with stereo speakers for an immersive sound experience and sports triple microphones. It is backed by a 3,300mAh battery and support 18W fast charging technology. Connectivity options include 4G LTE, Wi-Fi, Bluetooth 5.0, GPS, NFC, 3.5mm audio jack, and a MicroUSB 2.0 port. It runs on Android 8.0 Oreo-based Zen UI out of the box. There is also a circular fingerprint sensor placed on the rear. It measures 153 x 75.6 x 7.7 mm and weighs 165 grams. It is mentioned to be available in Space Silver and Shiny Black color options. In the coming weeks, the company might also launch the Zenfone 5Z smartphone in the Indian market. Stay tuned on PhoneRadar for more details! The post Asus ZenFone 5Z with Snapdragon 845 SoC is Priced at Rs 46,000 in Japan appeared first on PhoneRadar.